Cameron Wood's Amenity Pond is a peaceful place where you can take a walk around the path, and meet and interact with your neighbors. It is just a hop, skip and a jump over to the playground and the ball field where you'll see lots of kids enjoying the outdoors. It is filled with nature’s creatures and critters including fish, turtles, ducks, frogs, heron, and the occasional flock of geese. 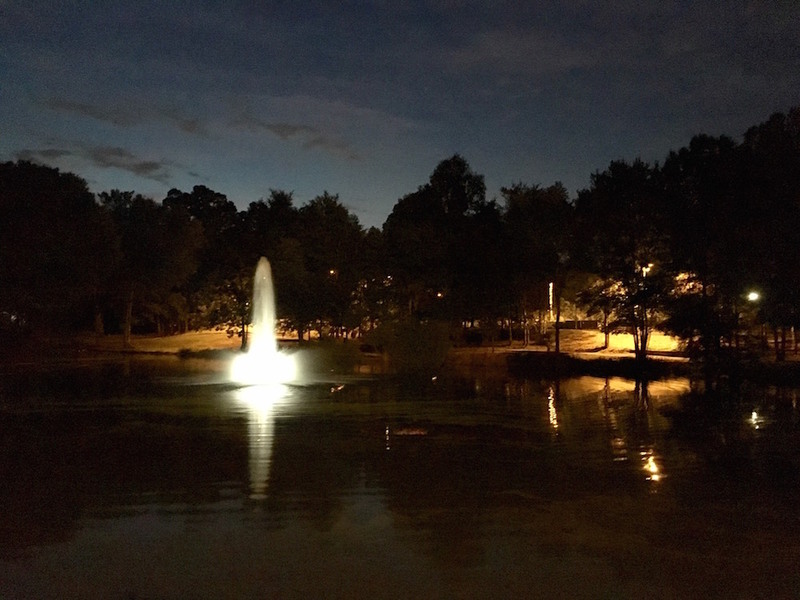 In the summer of 2016 the two fountains in the pond were replaced with one larger, beautiful and updated fountain. We hope you're enjoying the new look! Catch and release fishing is allowed and encouraged. NO littering. Please use the trash cans located on the walking path. Keep CW beautiful! NO feeding pond animals. Bread and food scraps disturb the ecosystem and can be very dangerous to the health of the ducks and geese (see below). NO swimming or watercraft allowed. Do not adjust the fountain control panels. Children love animals. For many kids, their first experience with animals that are not their pets are the ducks in the local pond. The family outings often include a lesson in sharing as they toss the hungry birds bread and picnic scraps and urge them to come closer. Teaching them lessons of generosity and appreciation of wildlife sounds like a great day out with the kids, but it’s not great for the ducks and other pond residents. Board Oversight Member is Ben Dulken. Volunteers are always needed! The pond committee cares for the pond water and fountains, the surrounding paths and fishing deck and coordinates a semi-annual clean up work day. They also assist the children's committee conduct an annual fish release, which usually takes place annually in June.